1944 Masaki Sakurai was born. 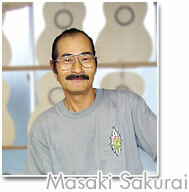 1967 He graduated from the Sophia Univ., Electronics Department and entered Kohno Guitar MANUFACTURING. 1988 He won the first prize at the 4th International Guitar Making Contest in Paris. 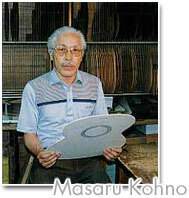 1926 Masaru Kohno was born. 1948 He started making guitars. 1960 He went to Spain and studied making guitars. 1967 He awarded the GOLD MEDAL in Elizabeth's Concourse Belgium, international competition in guitar lutherie. Dec. 13 1998 He died of renal cancer.